I am he who rises and lights up wall after wall, each thing in succession. There will not be a day that lacks its owed illumination. I have ordered you to! I am the cosmic water lily that rose shining from Nun's black primordial waters, and my mother is Nut, the night sky. 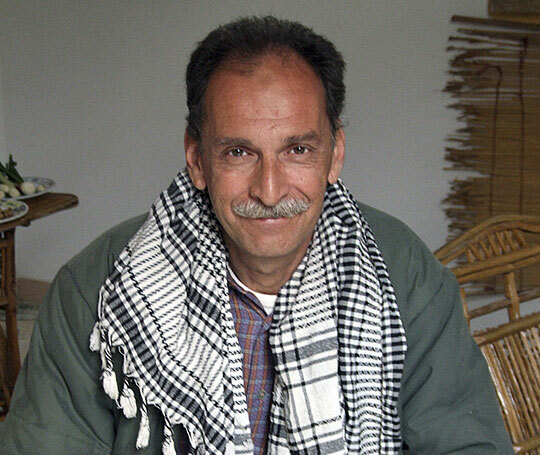 Mr. Bakr Fahmy is your host and the founder of the Blue Lotus Guesthouse. 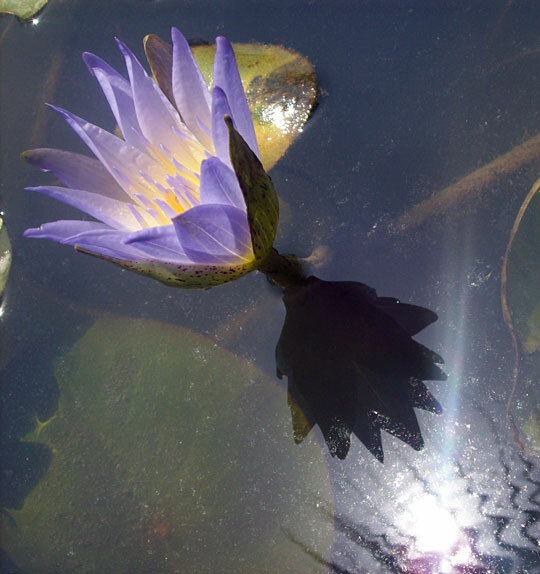 When you come and visit, ask him to tell you the amazing story of how the first actual Blue Lotus flowers began to bloom in his lovingly hand crafted ponds. Nymphaea caerulea, also as the Blue Egyptian water lily or sacred blue lily, is a water-lily in the genus Nymphaea. 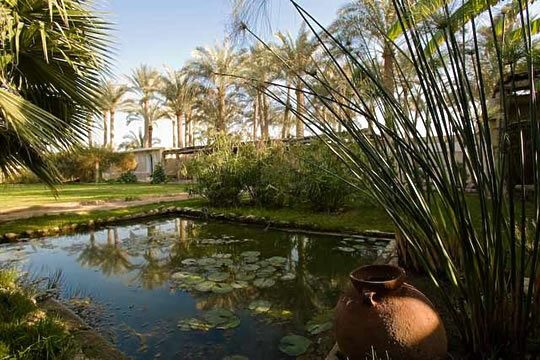 It has historically been known as the blue lotus and sacred lotus, particularly in discussing its revered status among the Ancient Egyptians, Nubians, Abyssinians, and any number of historic African civilizations of the ancient world. It was considered extremely significant in Egyptian mythology, since it was said to rise and fall with the sun. Consequently, due to its colorings, it was identified, in some beliefs, as having been the original container, in a similar manner to an egg, of Atum, and in similar beliefs Ra, both solar deities. As such, its properties form the origin of the lotus variant of the Ogdoad cosmogeny. It was the symbol of the Egyptian deity Nefertum. 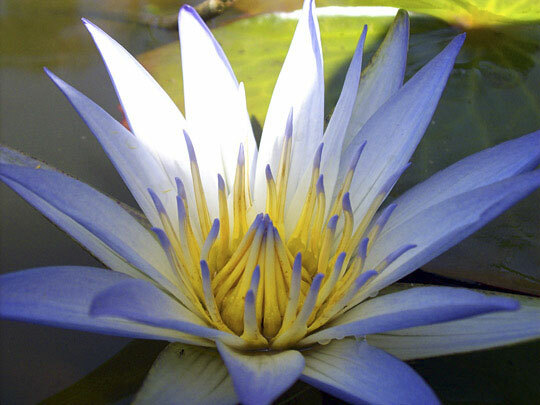 The blue lotus has been used to produce perfumes since ancient times; it is also used in aromatherapy. 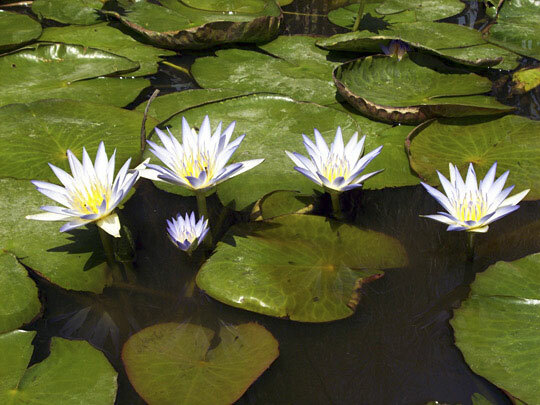 Recent studies have shown Nymphaea caerulea to have mild psychoactive properties. It may have been used as a sacrament in ancient Egypt and certain ancient South American cultures. 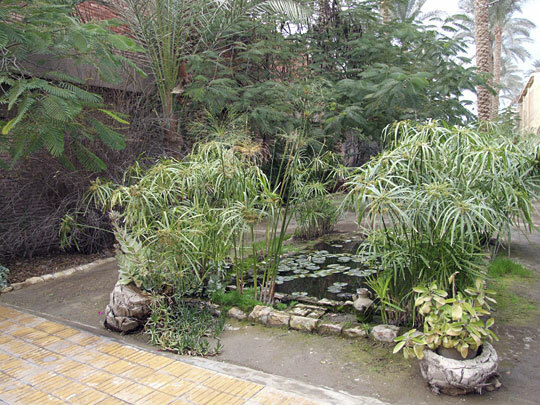 Eating Blue Lotus can act as a mild sedative. 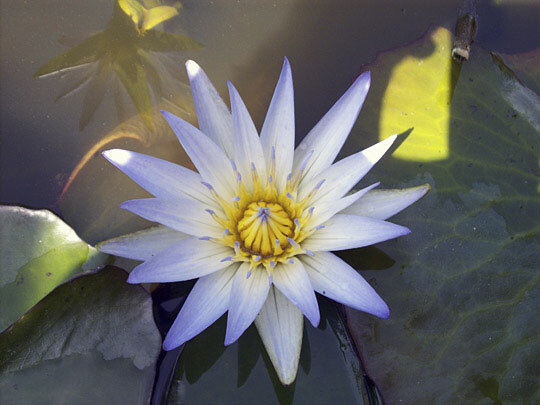 Used in aromatherapy, Nymphaea caerulea is purported to have a "divine" essence, bringing heightened awareness and tranquility. Some sources site it as an antispasmodic similar to copal resin.